Vietnam’s economy expanded 6.4 per cent in the third quarter and was expected to increase 7 per cent in the fourth quarter of 2016 against the backdrop of extractive shrinkages. 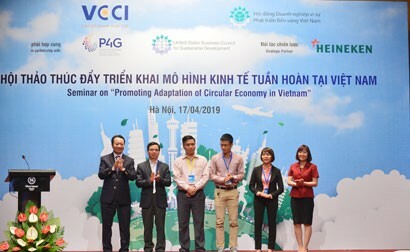 This showed that Vietnam’s economy is diminishing its dependence on selling natural resources for development, said the General Statistics Office (GSO). The Third-quarter Economic Report released by GSO showed a sharp decline in the country's extractive industry. The manufacturing index of the mining industry still slightly grew 0.2 per cent in the first quarter of 2016. It was optimistic that the growth was modest because a lot of holidays occurred in this quarter. However, the dark almost shaded that optimism in the second and third quarters. The mining production index dropped 5.3 per cent in the second quarter and 6.8 per cent in the third quarter. The index slipped 4.1 per cent in the first nine months. A year ago, it climbed up to 8.3 per cent. The steep decline of the mining sector significantly affected the index of industrial production, which climbed 7.4 per cent in the past three quarters, compared with a 9.9 per cent growth a year earlier, according to the GSO. At a press conference on third-quarter performances, GSO General Director Nguyen Bich Lam said the substantial growth of the mining sector contributed to the overall growth of industrial development in 2015. However, it dragged industrial growth this year - an opposite effect within a few months. The slump was attributed to falling prices of minerals like oil, coal and iron ores. Meanwhile, Vietnam is not a resource-rich country and the Government is restricting exploiting and exporting minerals. 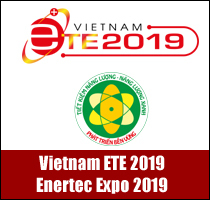 Mr Pham Dinh Thuy, Director of the Industrial Statistics Department, GSO, said, Vietnam’s mineral reserves like coal and oil are limited and running out. It was clear that the retreat of the mining sector put the brake on the country’s economic growth. And, the fourth-quarter economic growth will still depend on how crude oil is tapped. Mr Ha Quang Tuyen, Director of the National Accounts System under the General Statistics Office (GSO), said, the fourth-quarter economic growth can be as high as the growth of 7.01 per cent in the a year-earlier quarter if crude oil price stays at current rate. This means that if crude oil output decreases, the economic growth will be slower. However, that is a short-term solution to ensure economic growth of 6.3 - 6.5 per cent as stated by Prime Minister Nguyen Xuan Phuc at the latest cabinet meeting. 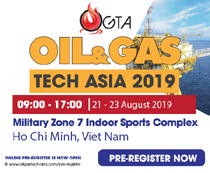 But if we look at economic growth in recent months, with the third-quarter climbing 6.40 per cent, there are optimistic signals relating to extractive industry, said Tuyen. “Production-related indicators such as employment rate in processing and manufacturing sectors are high. Business trend survey results are more optimistic than previous quarters. These broke the view that our growth depends on mining and sale of natural resources,” he admitted. The economic growth is higher although the rate is generally low. In the coming time, the mining sector will continue to shrink because of governmental restrictive policies. And, processing, manufacturing and services will play a more important role. This belief is not ungrounded if we look at export and import growth rates. 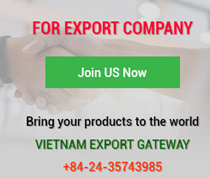 Vietnam’s imports rose 1.3 per cent year on year in the third quarter while exports climbed from 5.9 per cent in the first six months to 6.7 per cent in the first nine months. Few days ago, HSBC Bank released a report on Vietnam macroeconomics. The country’s Manufacturing Purchasing Managers’ Index (PMI) rose eight months in a row against the backdrop of growth struggle in some Asian and Western economies. PMI rose to 52.2 points from 51.9 points the previous month. This result indicated an improvement in the health of manufacturing sector and signalled the best improvement since May 2015. Business conditions got better in 10 straight months. 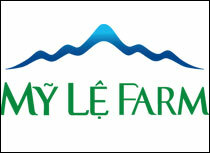 Notably, foreign direct investment (FDI) kept flowing into the Vietnamese economy. Foreign investors registered to invest US$16.43 billion in Vietnam and disbursed US$11.02 billion in the first nine months. FDI flows were mainly channelled into manufacturing and production fields. Lessons from Russia show that excessive reliance on crude oil exports will hurt the economy in the context of falling prices. It is necessary to reduce the export of crude or simply processed products, particularly natural resources, and increase the export of manufactured and processed items. 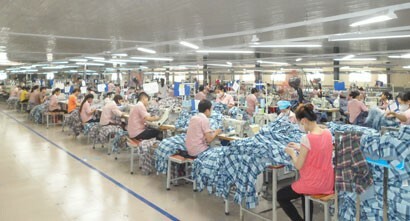 However, I think that the fast-rising share of processed and manufactured products in the total export value cannot be considered a good solution in the current context because Vietnam has generally fragmented production, backward processing and manufacturing technology, low productivity, high production costs and uncompetitive products. Vietnam needs overall strategic plans for investment capital, technology, material areas, quality guarantee, preservation, processing and marketing for at least five years. In the long term, the government and ministries concerned must have overall and inclusive solutions to reduce dependence on exploitation of natural resources, minimise natural resource waste and support the mining industry to contribute more to the State Budget. Corporate performance, economic restructuring and domestic consumption are three major driving forces of economic growth in the remaining months of this year. Importantly, we must withdraw from China’s experience. Previously, it always focused on exports and considered it a main drive of economic growth. But, in the latest three years, it has changed and focused on domestic consumption. 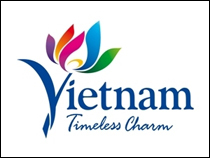 With a population of over 90 million, Vietnam has huge consumer demand.